I’m finally ready to share with you my little recap from the whirlwind Renegade Chicago weekend. 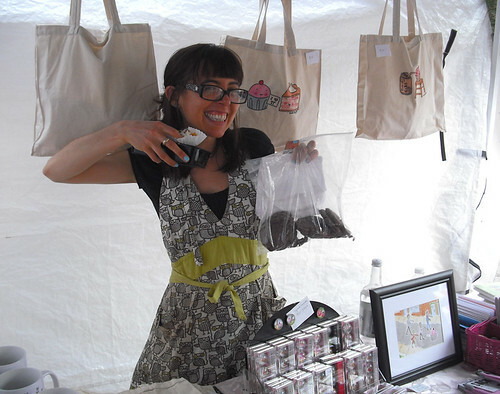 First off, I want to thank all the lovely folks who came out to the fair! We couldn’t have ask for more gorgeous weather– sunny and bright both days, it was a great chance for all of Chi to get out and enjoy the summer one last time. 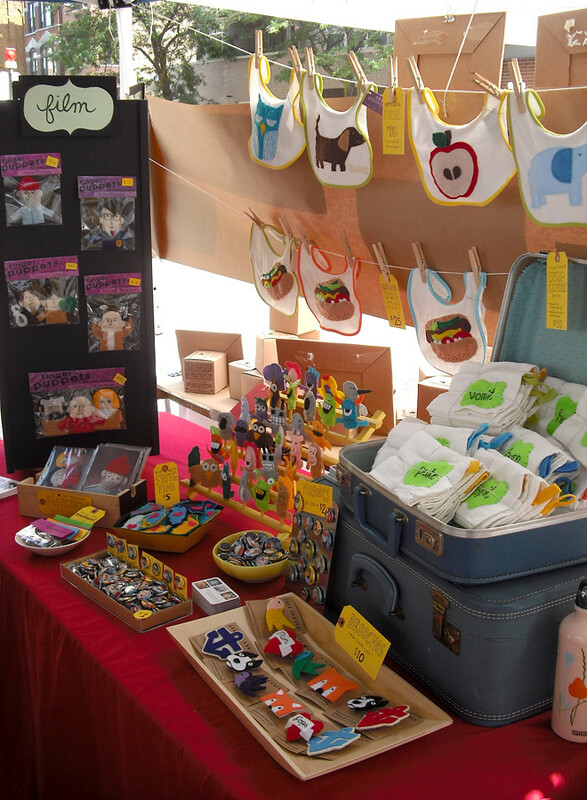 I brought with me a few new goodies, which you’ll see pictured below, and had a great time hanging out, meeting lovely customers and visiting with some of my favorite crafty peeps! Here’s the booth set up on day one. We tweeked it a little on day two, but you get the idea. 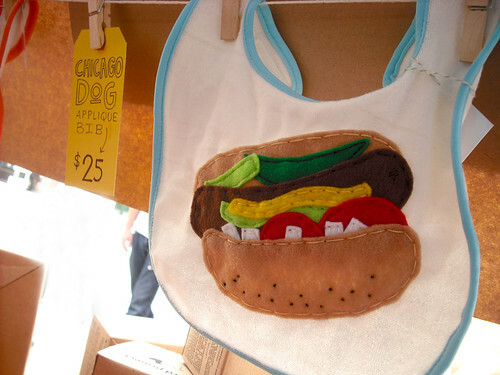 New Chicago dog bibs that debuted at the fair. Burp cloths. One of the first photos of these that I actually like. 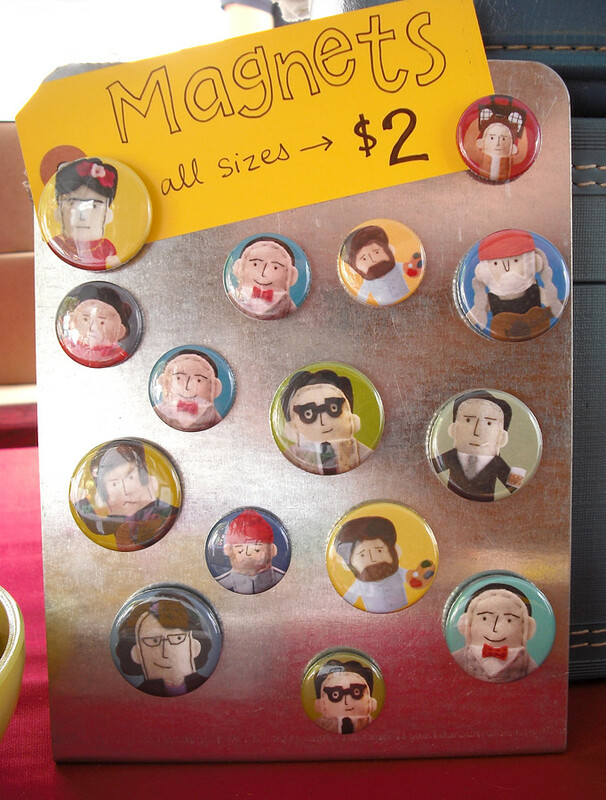 New magnets! And a new display board! 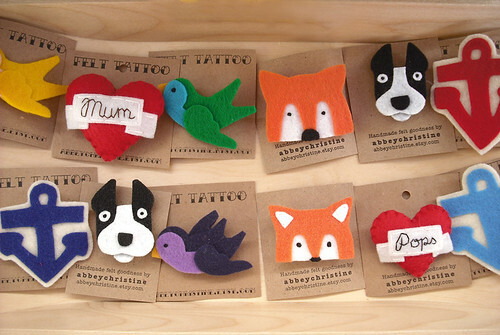 Brooches, in another new display. 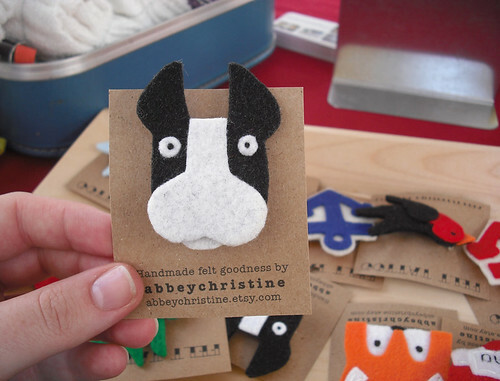 The Boston Terrier brooch I discovered had had a bit of an amputation. Poor guy! Now he looks like a cow. Thanks again to all those who came out! Can’t wait for next year!